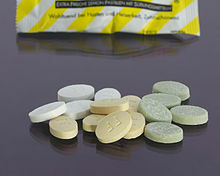 ^ Lozenge that conquered the world: Fisherman's Friend have netted a packet for one very modest British family. dailymail.co.uk. 2009-05-20 [2018-03-20].